Hiring good SEO services can make your small business earn thousands of dollars per month. Whether you’re looking for individual consultants, companies, or in-house, it’s vital to choose the best. If you have high traffic on your site, you can turn your small business into a profit-making business. However, bad SEO will only cripple your search traffic. 1 How can I contact you? 2 Can you show me references of current and previous clients? 3 What SEO ranking can we expect from you? 4 Do you follow updated guidelines and changes of Google? 5 What strategies will you adapt to use on my industry? SEO agencies like theseomarketingcompany.com offer different customer service from other companies. Most large companies share their reports with clients. It will give clients time to review such reports and discuss it. Walk-in representative whom you can talk to in person. Skype, email, phone, etc. for virtual SEO companies. Designated representative just for you whom you can contact anytime. What’s crucial is to get an answer suitable for your needs. Know what methods of communication they offer especially in cases of emergency. Can you show me references of current and previous clients? Agencies that are open about their clients are proof of a reputable company. It’s important to talk to their clients to find out how the SEO agency helped their business. For instance, if you’re business is into Inheritance Recovery Attorneys, ask them if you can contact their clients that are related to your industry. You can also ask them for real-life performance results of their clients. If what they provide are results of psychiatrists or others not similar to yours, then they may not be suitable for your law firm. If their case studies are similar to yours, you can check Google page rankings to check the site’s traffic and leads aside from contacting their previous clients. What SEO ranking can we expect from you? No SEO company can guarantee your business to rank first in search engines like Google. If any company promises you can rank number 1, they are either misleading or incompetent. So, ask them what ranking can you expect from their services. Their answer will help you eliminate dishonest ones, and prevent your business from failing. However, a good SEO company can answer you that they can help you reach high search engine ranking. If so, ask them how they will do it. Amount of time and effort depending on their assessment of your target keywords. Location of the searcher and their previous search history. How the algorithm changes and the fluctuations that happen daily, weekly, or monthly. Do you follow updated guidelines and changes of Google? Traffic growth can be long-term when you follow Google’s and other search engine’s best practices. 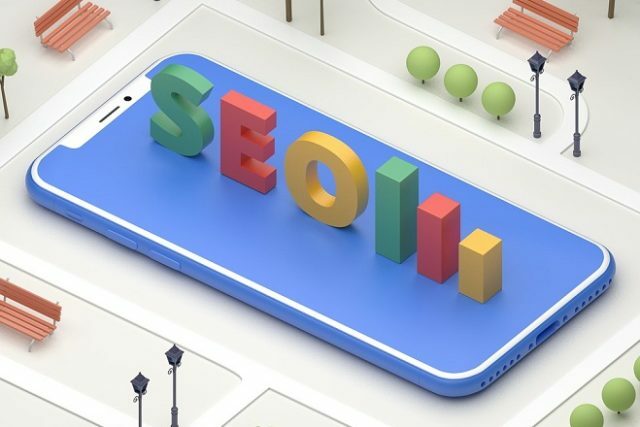 Therefore, ask potential SEO companies if they are following Google’s best systems, since it is vital to provide better search engine ranking. If Google’s rules are violated, you will be penalized. Panda and Penguin algorithms penalize manipulative sites getting hits. If this happens, your business’ traffic will suffer, and recovery takes months or years to correct such penalties. What strategies will you adapt to use on my industry? Not all SEO companies have every solution for every niche or industry. Ask them about what their strategies are and how they will adapt it to your industry. Local businesses require a different approach to attract customers from big corporations having a global market. Though experience in your industry matters, it should not be a necessity. What’s important is their ability to cater your SEO needs. Also, you can ask them to itemize the strategies they intend to provide. If they are hesitant, be wary. On the other hand, a transparent agency shows they are trustworthy. Use synonyms related to your target keywords by searching Google. Link to high authority site makes search engines label your site as can be trusted. Create sentiments for search signals such as mood or emotions of the web content. Make fresh content for Google to drive traffic and leads. Creating high traffic can make your small business earn more leads and attract more customers. Good SEO companies will do this job for you, so it’s vital to hire a good one that is suitable for your business needs. To separate bad ones from good SEO companies, ask the questions provided above. Assess their answers and choose the one with the right answers. Previous articleCompactus Mobile Shelving: Is It Important?